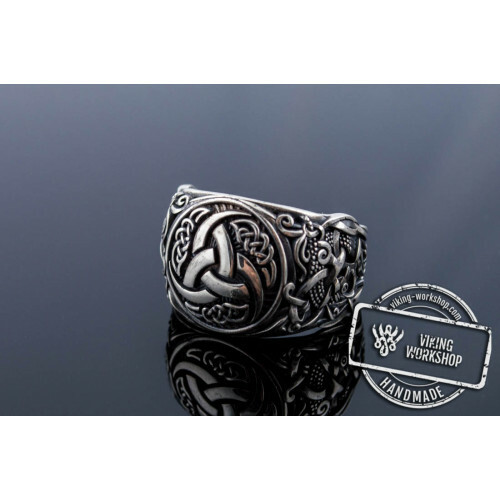 Sleipnir was a mighty and fast eight-legged spirit horse serving the God Odin. 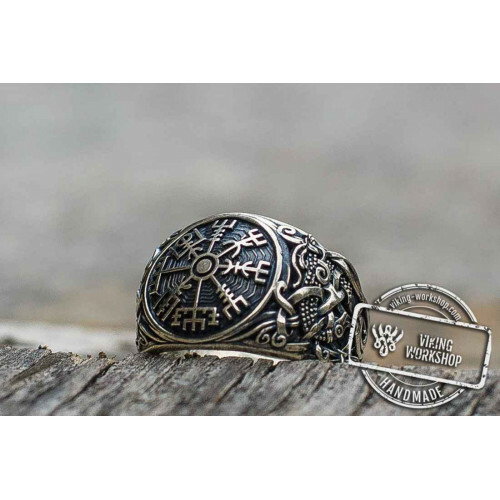 The deity used the spirit to ride over the nine worlds which were held were guided to on the powerful roots and big branches of the Tree of Life. 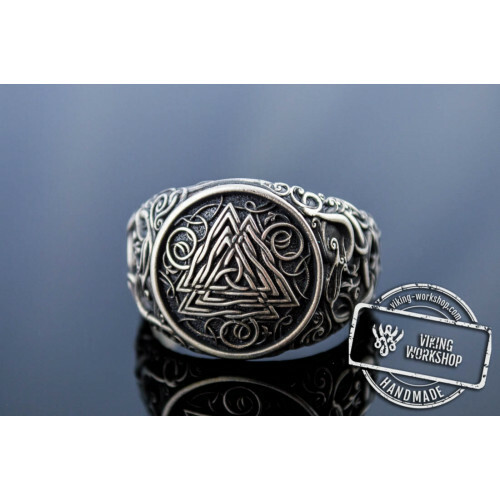 The spirit allowed the deity to move fast through the worlds. 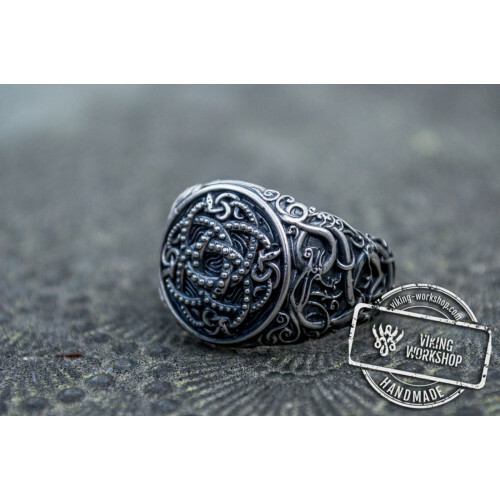 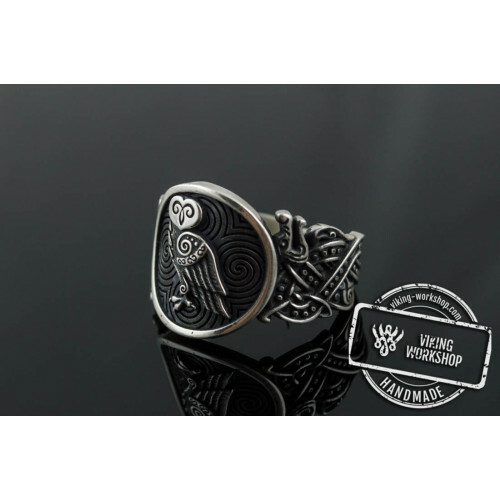 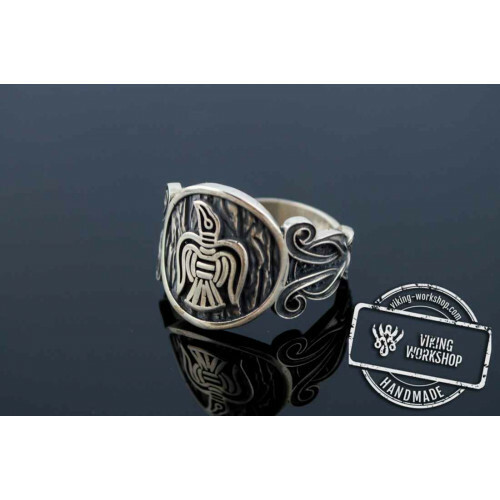 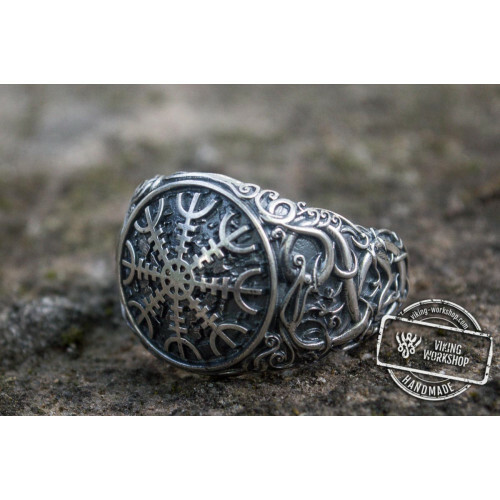 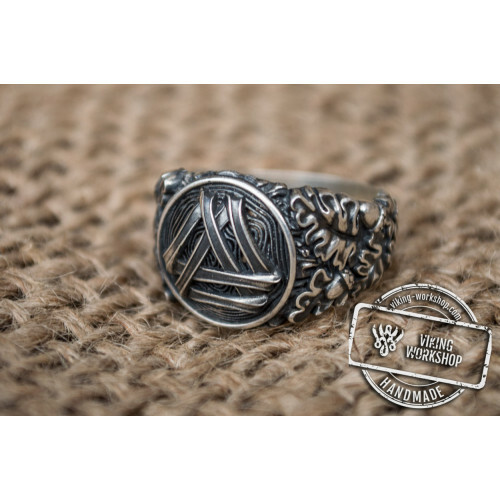 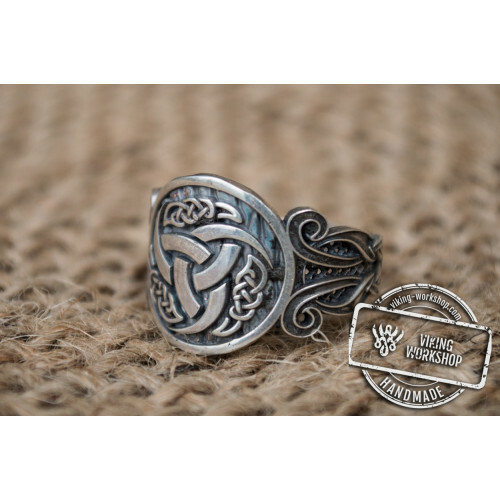 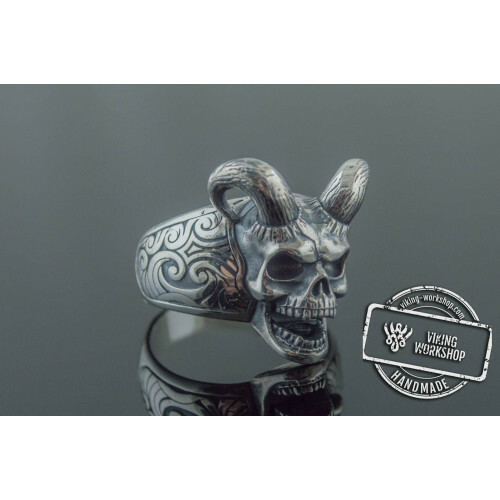 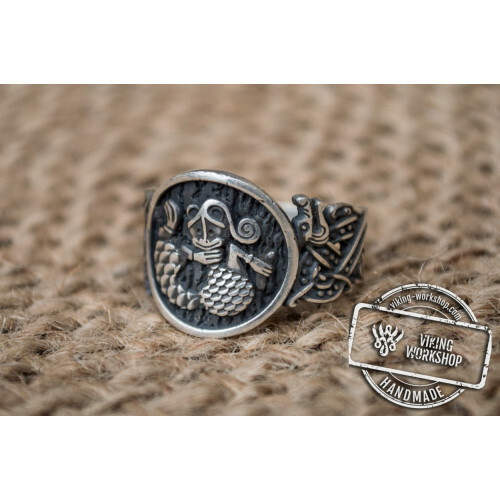 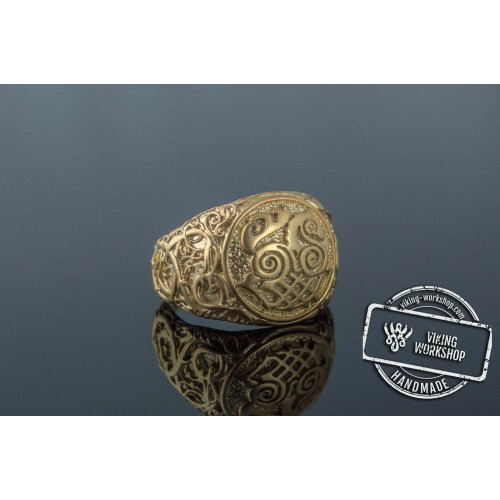 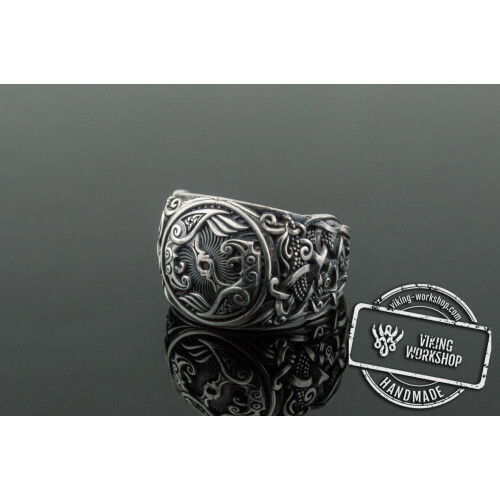 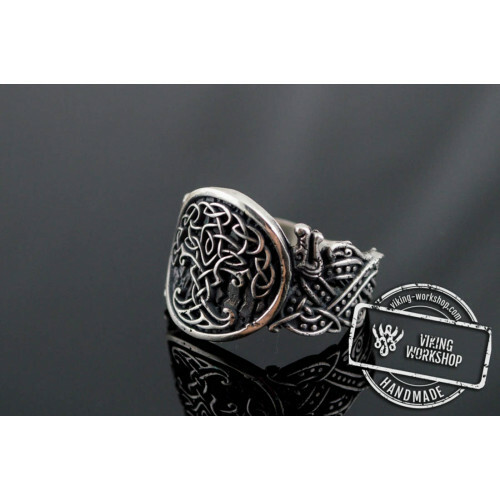 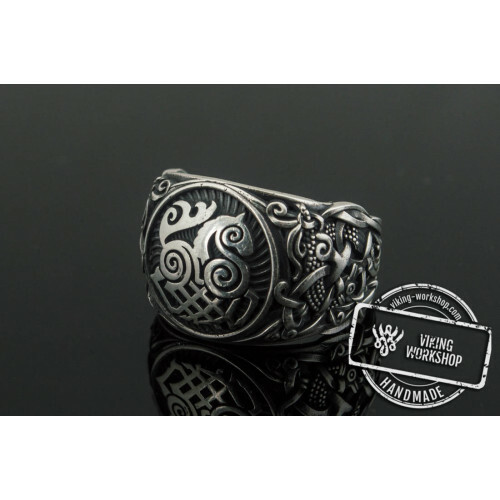 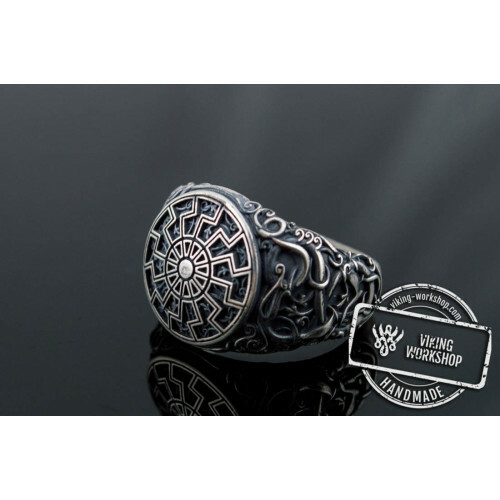 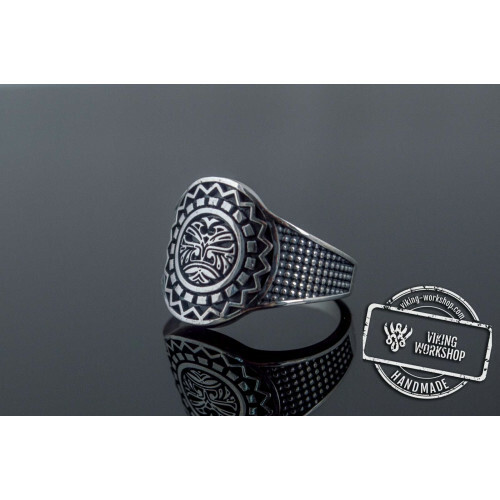 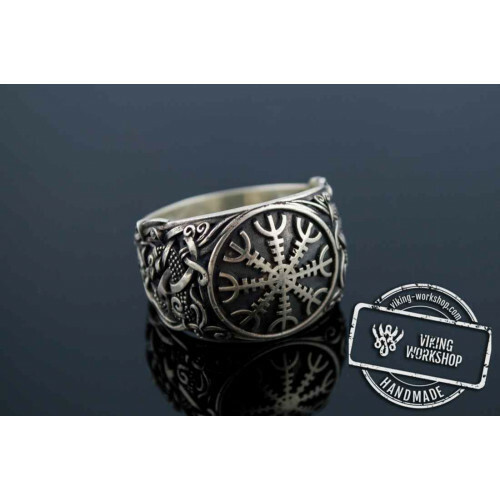 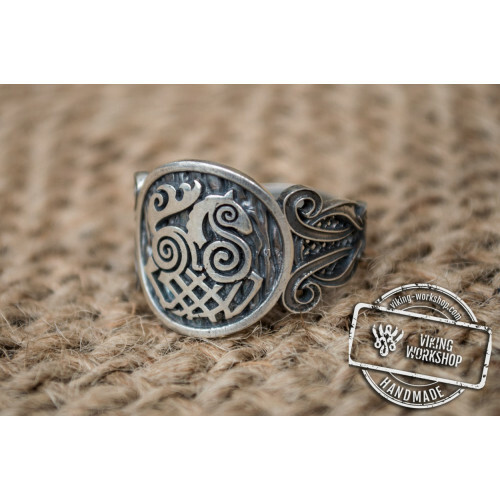 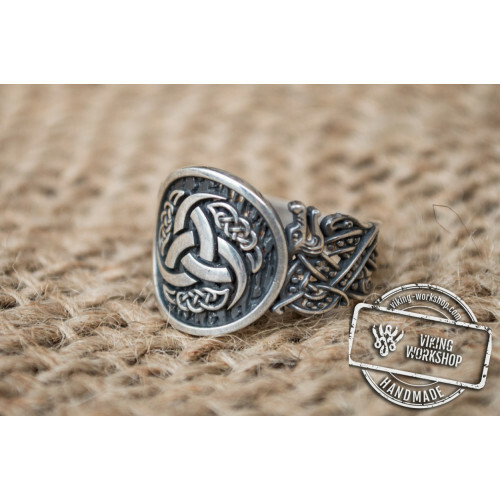 This beautiful silver ring ornamented with oak leaves and Sleipnir sign will be a perfect protecting charm giving you energy, strength, wisdom and knowledge. 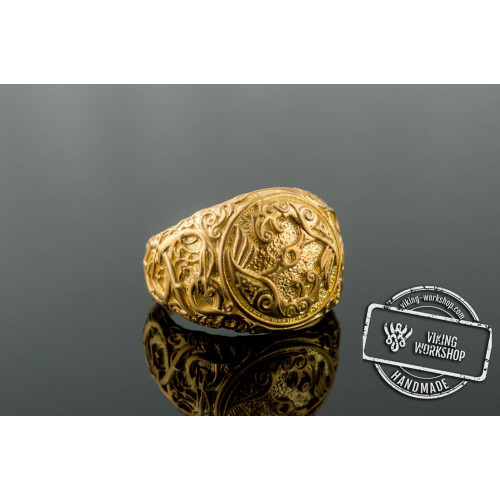 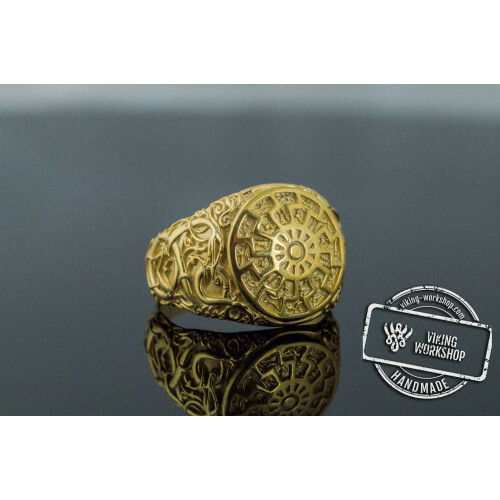 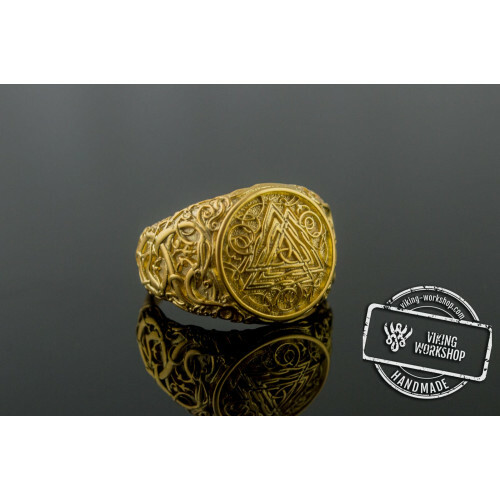 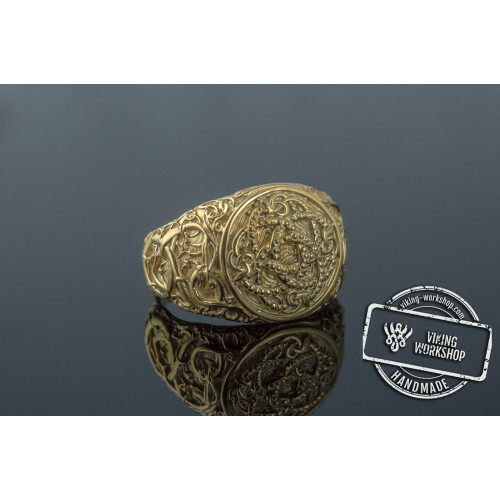 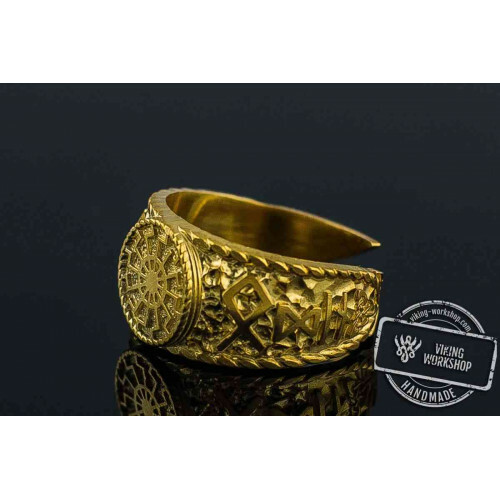 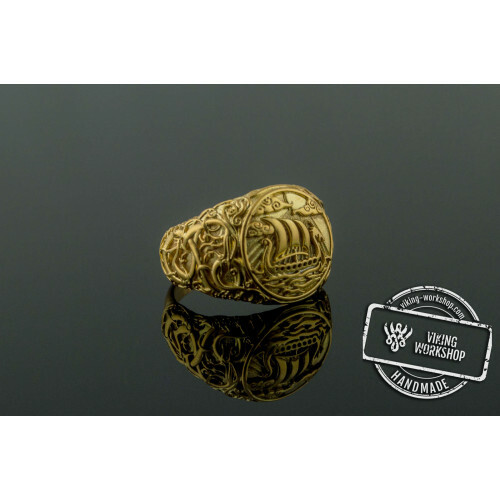 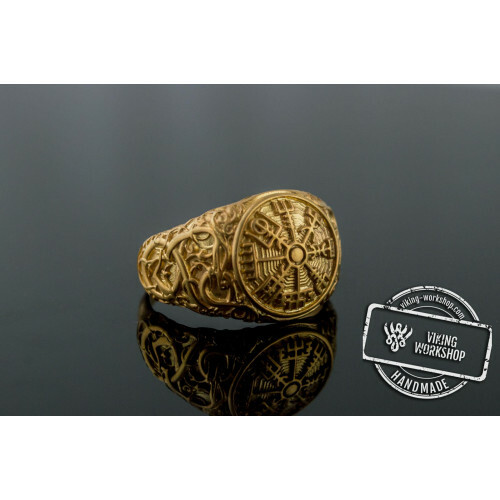 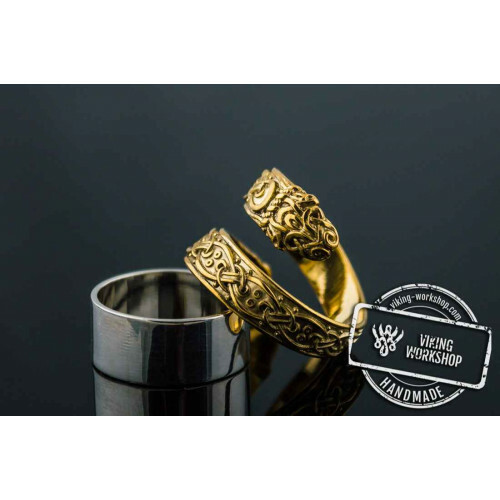 The ring is also available in gold. 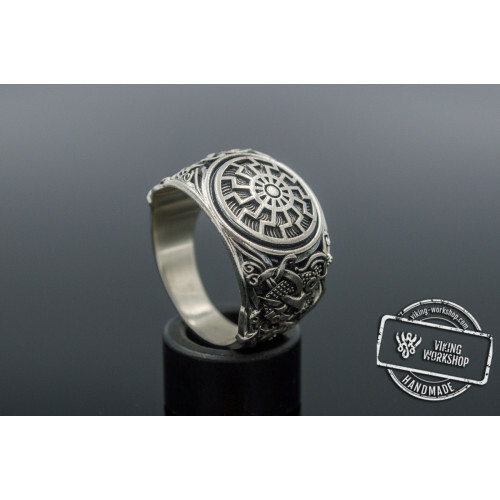 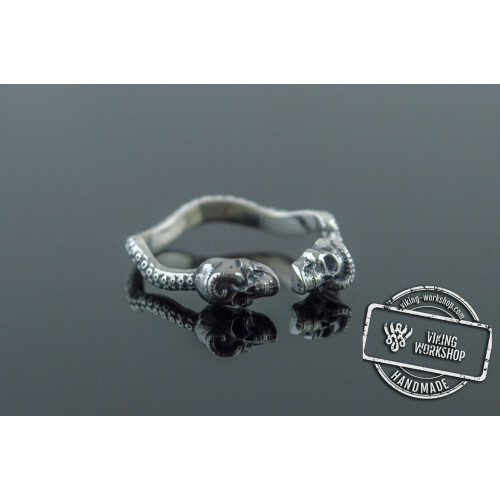 Each item is handmade and is produced by order from high quality metals. 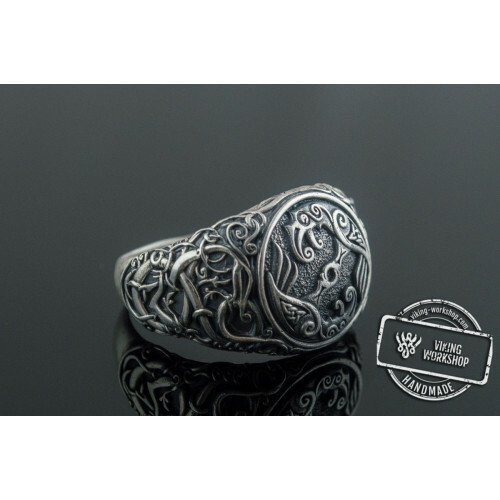 Every ring is made to the size standard. 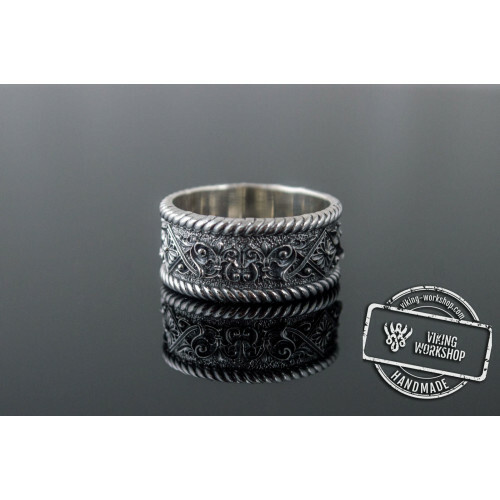 So you can be sure that the ring will perfectly fit your finger. 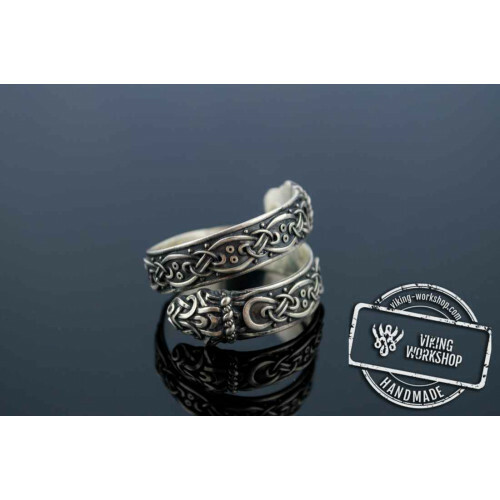 There is a choice of pendants to create a perfect Viking jewelry set in our store.